The leading cause of death in the US of children from 1 -4 is drowning. My children are older now, and are avid swimmers, so I tend to forget how important water safety is for the younger kids. Last week at Rotary we had a visit from a representative from the "Josh the Otter" program and it was a great reminder to get your kids swimming at a very early age. It also reminded me how easy it is to have safety installed around your pool. 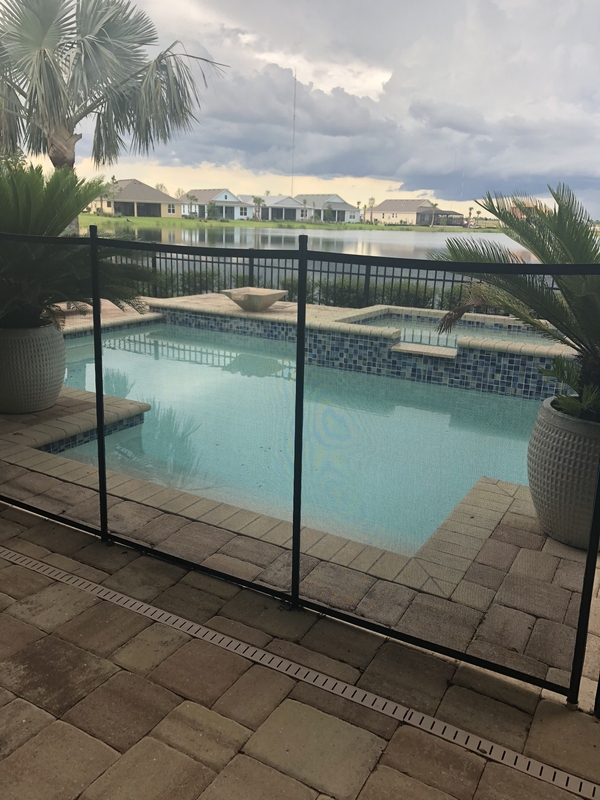 I remember one of the first things we did when our kids started walking was to have a mesh fence like this installed so I didn't have to worry if a slider accidently got left open. The whole process was pretty streamlined and not very expensive. And they customized it for our pool so we were able to add 4 gates so we would have easy access. We were also able to take the fences down when the kids got older and the only evidence left was little circles in the pavers that we put plugs in. It gave us great piece of mind when we had toddlers but it was also a wonderful selling feature when we put the house on the market. Because these fences are easily removed and easily stored this is one upgrade that is definitely worth it and will last. Buyers can decide for themselves how or if they can use it but it is wonderful to have that option. Help keep the kiddos safe!